While I was still playing for the Redskins, my good friend, Darrin Gray, approached me with an idea: Write a book about the negative effect a jersey can have on an athlete and the positive effect an athlete can have with his or her jersey. It was one of those “Esther moments,” where you feel like you were born for such a time as this. I knew we had to write it. After spending 12 years in the NFL, I had seen it all, the good and the bad. I had seen guys like Tony Dungy and Jim Caldwell use their “jerseys” for a positive influence. But I had also seen the bad. Our Super Bowl team photo still hangs in my study, and it’s sometimes difficult to look at — because I see friends and teammates whose jerseys destroyed them, whose jerseys made them selfish and unfulfilled. 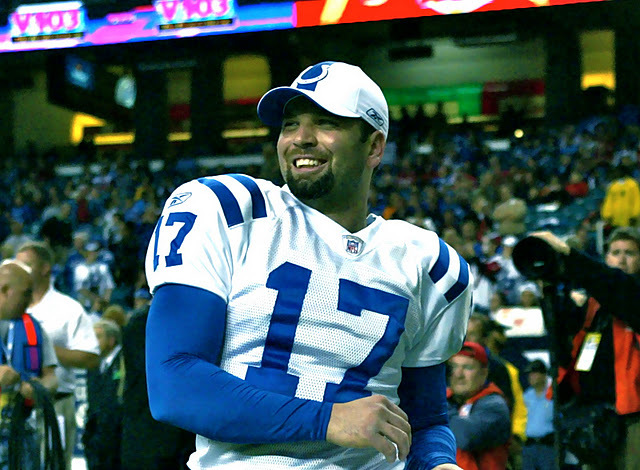 We decided to tell “The Jersey Effect” story in the context of the 2006-07 Colts Super Bowl season. We reached out to a number of my teammates and coaches on the Super Bowl team, asking them to join us on the project. Most of them agreed. It’s the Super Bowl structure that makes the book entertaining, I think, especially for football fans. We also wanted to tell “The Jersey Effect” story in a biblical context because, while the jersey was trying to enslave us , my group of brothers in Indy and I believed that there was only one thing that could fulfill: Christ. And we were on a journey together to not only win a Super Bowl, but become better men, better fathers, better husbands, and better teammates. I had a special group of brothers in Indianapolis. They weren’t perfect. I wasn’t perfect. But we were on a quest together make one another better. I’m so thankful that my Colts brothers chose to be a part of this project, and you may be surprised by their transparency and honesty. 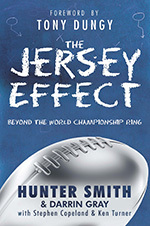 In “The Jersey Effect,” we wanted to be real with our readers so that they — athletes or not — would feel encouraged to live a life that fulfills, a life that isn’t poisoned by the tempting satisfactions of this world but is rather directed by an eternal calling. 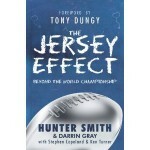 Writing “The Jersey Effect” was a long process. It’s a little bit different than putting together an album. It’s a little different than compiling a gameplan for a football game. But my teammates, coaches, and co-authors of this book hope this will be, yes, an entertaining read, but also an encouragement and challenge to live a meaningful life. He is speaking to me through Hunter, whom I will no doubt enjoy also as an author. I will race right out and purchase the book He blessed Hunter to write. Thank You, Lord, for giving me something to truly “smile” about. And, of course, thank you, Hunter, for answering His call to move forward with your book. Think I’ll just try and bring HIS profile up…like ugh, GOD, studied @ Kingdom College, birthdate – beginning of time, home-town – all the universes, current – still living @ the same address, in a relationship with – as many of mankind who will have HIM. This is THE perfect Father’s Day gift! Thanks for sharing a positive message with the world. I’m tired of only hearing about bad behavior on the field, and in Hollywood. Thanks for sharing this message Hunter, and Colt’s players.